What do a blue sun, a cardboard gamepad, and a flattened cat have in common? 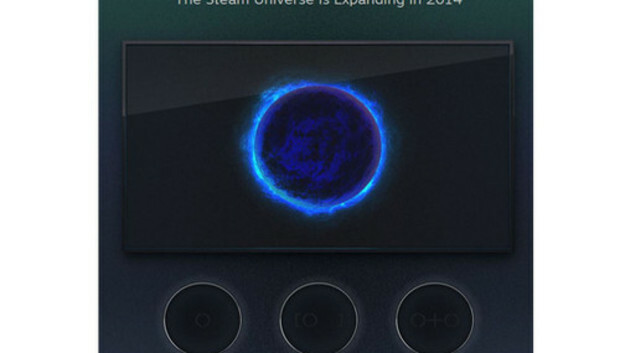 I don't know, but all three are represented on the new webpage Valve launched Friday to tease its Steam Box home console. "Last year, we shipped a software feature called Big Picture, a user-interface tailored for televisions and gamepads," says the new site. "This year we've been working on even more ways to connect the dots for customers who want Steam in the living-room." Valve will make three--that's right, three--announcements related to the Steam Box (if that's indeed its name) next week, presumably on Monday when the site's 72-hour countdown expires. Valve's site also says "Soon, we'll be adding you to our design process," so it looks like beta hardware might come first before the actual console gets into people's hands. But that's just a guess. We don't know much about the rumored Steam Box, a standalone console adaptation of Valve's PC games retail service. In the past, Valve managing director Gabe Newell has promised a Linux-based box to compete with Microsoft's Xbox and Sony's PlayStation platforms. He reiterated that sentiment earlier this week at LinuxCon in New Orleans. "Linux and open source are the future of gaming," he told the crowd. It's a bold choice, if you examine the stranglehold Microsoft has on the PC games market. Windows has long been the platform of choice for games, and the most popular Linux distribution on Steam (Ubuntu) makes up only 0.4% of users. By comparison, the highest Mac OS (10.8.4) sits at 2.15% and Windows 7 64-bit takes an enormous 51.95% share of the market. Valve has a fight ahead of it, but PC consumers have shown a willingness to follow the company's lead in the past. And--dare I say it?--a surprise announcement of the company's long-awaited sequel Half-Life 3 could force early adoption of the console among its target demographic. The company used the same tactic with Half-Life 2 back in 2004 when it forced users to install the actual Steam service. If there were ever a time to announce the game, it's now.